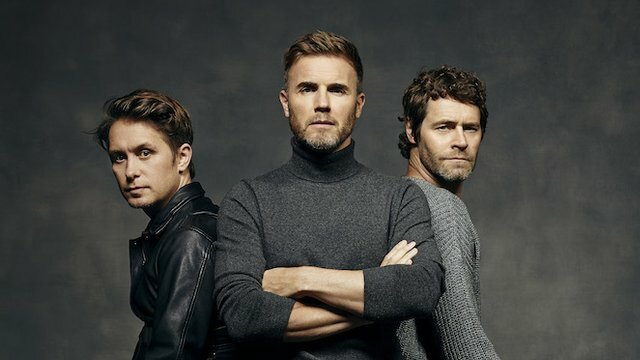 This blog has absolutely nothing to do with these guys, but as a life long fan of Take That, I couldn't miss the oppurtunity! Have you ever heard the saying, “There’s no such thing as a new idea?” Well, this isn’t a new idea, this concept has been repeated for years by Theologians and Pastors. Even if it is an old idea, it is a good idea, so it is worth repeating. There are three men you need in your life; Paul, Barnabas and Timothy. Well, that should be Saints Paul, Barnabas and Timothy and it’s not really these men specifically you need (though they can be pretty helpful), but who they represent. The default for many of us is to see the glass half empty; we get weighed down by the negativity that surrounds us. We need the optimists, the Barnabas’ to come alongside us and encourage us. Someone who can see our potential and give us a chance. He gave Paul a chance before the Apostles and in Acts 15 he wanted to give John-Mark a chance. Who’s the friend in your life who is always for you? The one who you can turn to in your darkest moments, the friend who supports you and lifts you up? Saint Paul had many gifts; he was a preacher, a leader, a teacher and an evangelist. He was also a mentor. He could recognise the gifts in others, men like Titus, Luke, Silas and Onesimus (inventor of the onesie – nah jokes). He raised them up and sent them out to be preachers, leaders, teachers and evangelists. About 7 years ago I asked my (now) mentor to be my mentor. I felt really awkward about it; it was like asking someone out on a date. I sat in my chair, avoided eye contact and asked rather timidly, “Urm, I was just wondering, if you would want to be- but no pressure if you don’t, but if you might, um, think about being my mentor?’ It was a bit awkward to ask, but I knew I needed to do it. Having that person in your life who you look up to and respect and trust is so valuable. You know you can count on them because not only do they talk the talk, they walk the walk too. I know at times I have felt aimless, unsure of where I was going or what I should do. It was in those times that I would turn to my mentor. Their guidance and advise is like a compass, a guide with direction I can take. Paul’s mentorship of those men shaped not only them but the Biblical landscape of the time. His guidance empowered each of them who then went on to do incredible things for the early Church. Don’t be the fool who gets lost on your mission when there’s a long queue of people who could have shown you the way. Timothy was the younger man who Paul met in Lystra. Paul saw the opportunity to train and build up a new apostle and Timothy was ready to learn. Can you think of people in your life who have had an impact on you? Something they did or said along the way that changed you and made you a better person. For me it’s been teachers, leaders, my mentor, the men and women who have given up their time and their energy for me. Have you had people do that for you? Well, here’s the thing. You’ve got to move over and make room for someone else. Actually, what you really need to do is find someone else and put them forward. Give them your time and your energy, lead them and encourage them in faith. Like the Barnabas’ and the Pauls’ have done for you. Be the person that will change a life. So, do you have a Barnabas, a Paul and a Timothy in your life? If you don’t here’s the challenge; set a date one month from today (Hey Siri, a reminder for one month from today), within a month you’ve got to have three conversations with three different people. Find your Barnabas, find your Paul, find your Timothy and start living life with them.